We recommend that you clean the exterior of your conservatory roof once every six months to prevent leakage, roof damage and decay caused by the build up of algae. If you live in an area that experiences a lot of bad weather then you should clean your conservatory more often. Clogged gutters and collected debris for example, can cause a lot of damage if allowed to build up unchecked. Some modern conservatories come with “self-cleaning” glass; however this glass is not really as magical as it sounds. 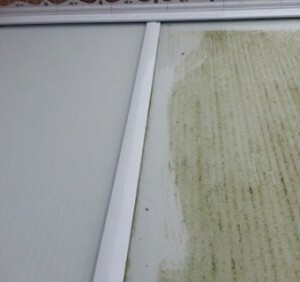 The glass will stay clean for far longer than untreated glass, but moss and algae will still build up over time, especially if the roof is north facing. If you have a polycarbonate roof, and if this grime and dirt is not cleaned off frequently, it can easily stain and discolour your conservatory roof panels, which can end up having to be replaced. We complete hundreds of conservatory roof cleans every year, our vans are kitted out with the latest professional equipment, that enable us to give exceptional results each and every time.